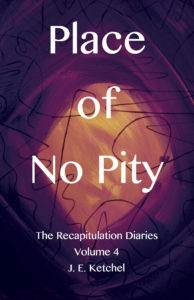 The Recapitulation Diaries are all available in print and Kindle versions. To order, click on the image or the book title and you will be taken directly to Amazon.com. In The Recapitulation Diaries, Jan Ketchel recounts her three-year-long period of deep and intensive recapitulation. Please be aware that these are adult books. Instances of sexual abuse are described, not for sensational purposes, but only as part of the unfolding of the process. Be forewarned that these instances of sexual abuse can be very uncomfortable. We suggest putting the books down, taking notes, and returning to reading when ready. If triggered at a deeper level, we advise seeking the aid of a qualified mental health professional. In The Man in the Woods, the recapitulation journey begins. We are introduced to the signs leading up to it, how Jan met Chuck, and how her process unfolded. We live her life with her, as she invites us into her most intimate and private thoughts and experiences. We suffer with her as she makes painful decisions that she knows will change everything for herself and those she loves the most. But something is calling to her and she must heed its call. Based on an ancient shamanic process, her recapitulation journey unfolds in the flow of everyday life. On a sunny June day in 2001, a powerful memory sends her crashing to the floor. From that point onward there is no turning back. She is ready, the path appears, and she is ushered on her journey. More than just a documentation of a process and the revelation of a traumatic past, The Man in the Woods is a deeply intriguing memoir. A whirlwind journey unfolds in poignant detail. We face the moment when Jan realizes she was sexually abused as a child, revealing the truth of her long-held belief that there was something seriously wrong with her. And then we experience her uncomfortable wonderment as she faces her abuser for the first time in memory, a little child once again. She holds nothing back, but reveals what lies in the muck of her deepest self. The Edge of the Abyss takes us deeper into Jan’s process as she continues to face not only what happened to her in childhood, but everything else that happened to her throughout life as a result of her traumatic past. We grasp the necessity of mental health for a full and productive life and that facing our deepest wounds is really the only way to achieve it. As the recapitulation unfolds, and Jan sheds more of her old self, we understand the healing power of the process of recapitulation. Little by little life begins to hold new possibilities. If you are interested in learning about and understanding what it means to take a recapitulation journey, Jan’s books capture the process perfectly. 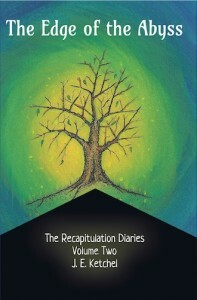 If you are troubled or unsettled, if you question reality, have experiences you can’t explain, want to understand your dreams at a deeper level, or have not yet found your true, authentic self, then The Recapitulation Diaries may aid you as you search for deeper meaning and deeper connection in your own life. In memories, dreams and life’s unfolding, Jan shows us what it means to face the darkness inside and gradually emerge into the light, a changed being, totally freed to live life to the fullest. Like many other healing practices, handed down through generations of practitioners, recapitulation is imbued with the intent of the ancients. It is a powerful process, a pathway to a changed perception of the self and the world. Into the Vast Nothingness reveals the bigger picture of who we are as energetic beings. The shamanic process of recapitulation continues in riveting prose. Undaunted, Jan repeatedly faces the old self and the old world. She experiences the world literally cracking open as memories, dreams and experiences intersect. Valuable lessons are learned on every page, as the meaning of detachment and the meaning of taking a personal inner journey are explored at ever-deepening levels. How far down can she go and still hold onto her sanity? This is the question she continually asks herself, while simultaneously knowing that continually facing her fears is her deepest challenge but the only means to truly healing as well. Jan does not hold back, but reveals herself to us on every page, letting us know that we are not alone, that our innermost thoughts and fears are part of being human. This is, indeed, a book about being poignantly human, full of tender frailties and profound insights alike, but it is also a book about discovering the deeper interconnected self. As Jan’s life unfolds in the most touching and magical of ways so do we, as we are shown the fuller potential that we hold within us, every day of our own lives. 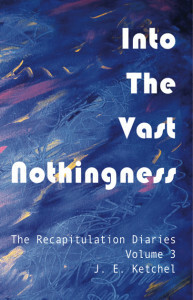 Into the Vast Nothingness offers further insight into a fascinating process of healing, encompassing both a holistic approach to mental health and the process of recapitulation as carved from the shamanic world of Carlos Castaneda. In true warrior form, Jan forges through the destruction of the ego and the old self, through the collapse of an old world structure that no longer serves her, into a powerful rebirthing. As Jan realizes that she does have to go into the vast nothingness that she so fears, she also discovers much more than she ever expected. A shamanic recapitulation is certainly a journey worth taking, whether one has trauma to deal with or is simply looking for a deeply transformative process. Be aware that The Recapitulation Diaries carry significant energy, as recapitulation is imbued with the energy of ancient shamanic intent. It is a powerful process. So even if you only go along for the ride, by reading Jan’s books it is quite possible that you will have some pretty unique experiences of your own. You might even possibly emerge from the reading a changed person, intent upon healing yourself in a new way too, for surely Jan’s journey alone will leave you feeling transformed—it’s that magical! Place of No Pity whisks the reader right along into the continuing saga of Jan and her intrepid spirit. Undaunted by the task before her, she faces into the whirlwind of the unfolding journey of recapitulation with nerves of steel. In Place of No Pity, as she faces the truth of family secrets, Jan is also taught what it means to detach and move on into a life of one’s own, leaving family and expectations behind in a loving and compassionate way. Through the highs and lows of her night sea journey, Jan learns the importance of staying grounded in reality, for even though she experiences moments of transcendent bliss and insight, she also learns that life is meant to be lived on earth, the learning ground for everything. As Jan’s shamanic recapitulation continues to unfold, the light at the end of the tunnel is nearing, becoming brighter and fuller, a new reality dawning. 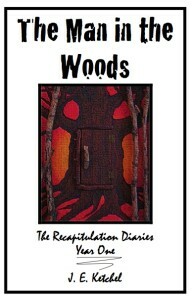 NOTE: Dreaming All the Time, Volume 5 of The Recapitulation Diaries will be published next.